Kneel Before Blog - Arrow - Invasion! Arrow brings its contribution to the crossover event while celebrating the 100 episode milestone by looking back. Having the 100th episode fall in the middle of a crossover event must have been a challenging prospect for the writers as there’s the need to celebrate the legacy that the show has created while moving the story that concerns the characters from other shows along. Arrow opts to make the celebration a priority while making the alien invasion narrative the B-Story and it’s hard to say it wasn’t the right choice for the writers to make. This show is in its 5th season and has had a lot of highs as well as a lot of lows over the years but the fact that it has made it to 100 episodes is something worth celebrating as it must have a devoted fanbase to make it to that milestone. Making the decision to celebrate that by honouring the fanbase as well as the legacy of the show was definitely the right one. Most shows go through the “road not taken” type story eventually. The Flash did that at the start of its current season with “Flashpoint” and now Arrow takes the opportunity to explore what life might be like had Oliver never decided to board the Queen’s Gambit. The result is a really idyllic existence for all concerned. Oliver is happily engaged to Laurel and is on the eve of his wedding, his parents are alive, Thea is content with everything in her life and Diggle is the Green Arrow. Sara and Ray are also involved in the episode since they were abducted by the Dominators and they have found happiness as well. Of course none of this is real and the episode doesn’t waste any time confirming that to us. We see Oliver, Thea, Diggle, Ray and Sara in pods early on so there is no attempt to convince us that Oliver’s vigilante career has been an elaborate dream. The artificial nature of this perfect life allows the writers to have a lot of fun with it since it is never going to be something that sticks. The world created doesn’t have to be an especially deep one either as it’s only a construct created by the Dominators to further their own plans. It doesn’t have to work well and it doesn’t have to work for long which ends up being the beauty of it. Oliver starts to realise that this isn’t right very early on and the episode becomes about him taking stock in what he has lost as well as what he has gained over the years. His upcoming marriage to Laurel is the focal point for everything he has lost as her death has weighed heavily on him all season. Whether he is actually in love with her in this fantasy or simply amplifying his feelings of loss is up for debate and almost doesn’t matter in the context of this story. The point is that she represents the ideal life as well as being a massive representation of what has been lost since he started his vigilante crusade. 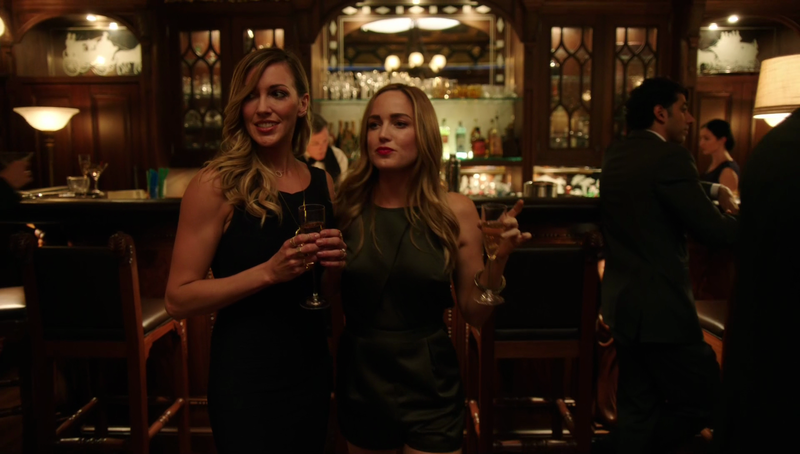 It’s great to see Katie Cassidy back as Laurel even though she doesn’t have an awful lot to do in the episode. She has enough character depth to be effective temptation for Oliver to surrender himself to this life. There isn’t much more to her than that and there doesn’t have to be because this is all a construct built from everyone’s subconscious. There is a great deal of warmth in what we see of their relationship. Stephen Amell and Katie Cassidy have always had great chemistry and that really pops when they aren’t in conflict with one another. The scenes that they share are all great but the standout is when Oliver confesses that he wants to fully embrace this life and marry her as soon as possible. He is reminded that he has everything and doesn’t want to take that for granted. It’s rare to see Oliver so desperate and vulnerable but it is handled really well and Stephen Amell’s performance is perfect. The scene where he says goodbye to Laurel is also really powerful because it shows that Oliver realises that the dream is too good to be true. He doesn’t show any disrespect even though he knows she isn’t real and it’s a really poignant way for him to honour her memory while getting some kind of closure on her death. It is possible that he has realised that he is still in love with her but I think it’s more likely that his grief has caused her to occupy this role in his fantasy. A similar thing applies to him saying goodbye to his parents. There’s a lot of emotion and sincerity in these scenes which makes them all the more impactful. Thea goes back to her season 1 role of being a side character for much of this story but still has plenty of opportunity to shine. She seems deliriously happy throughout shown by the affection she shows to her mother and the general way she conducts herself. It’s great to see a version of Thea so secure in her life that she seems to be completely unburdened by everything that she has been through in the real world. Her reasons for wanting to remain in this fantasy can completely be understood. Thea has been through a lot over the years and there’s a strong sense that she is becoming weary with the constant struggle to put everything behind her. Her role as Oliver’s chief of staff has done a lot to help her reclaim her sense of self but she will never have the same kind of innocence we see here again. To be able to leave all of that behind and live the perfect life is always going to be tempting so it’s easy to see where she’s coming from. Interestingly the way she justifies not feeling guilty for making this decision mirrors Oliver’s words in “My Name is Oliver Queen”. Since there are people who can handle threats then the responsibility doesn’t necessarily fall on them any more. She also thinks that the sacrifices Oliver has made could mean that he has earned some happiness and this could be his reward. This also applies to her own views on her life but Oliver’s response is that the sacrifices were because he thought that they were the right thing to do and it’s not about being rewarded. Thea knows this but she’s completely caught up in the romance of this perfect life and it takes it a while to sink in. Rejecting paradise is no easy task and each of the characters have their own issues with it. Sara seems like a completely different person to the uncompromising assassin we’re so used to seeing. Her scenes with Laurel were great and reminded me of how well developed their sisterly bond was when Sara was in this show as a regular. This is a more innocent sisterly relationship as Sara is free of the burden of the League of Assassins so is able to be a more relaxed version of herself. Caity Lotz proves herself to be really versatile as she flips so naturally from one version of Sara to the other. Her decision to reject the fantasy is a fairly easy one as her desire to live in the real world is a strong one. Obviously it will be difficult to turn her back on a life without challenge and without Laurel but she is also aware that there is more at stake than her personal happiness and proves herself to be a hero by sacrificing that. Diggle has the least distance to travel in accepting that his life is a lie. At first it seems bizarre that Diggle’s section of the fantasy has him in the role of the Green Arrow rather than happily married with his child and a stable relationship with his brother. On further reflection it actually matched Diggle perfectly as he carries a lot of baggage and self loathing from long before he met Oliver. His experience in the military was something that defined him and that easily translates to him becoming the Green Arrow. He’s a soldier first and no amount of alien brainwashing can remove that. There is a certain amount of convenience to this but Diggle taking that role makes the most sense given his character. Ray is someone who is just sort of there and his only reason for rejecting this reality is that the fake Felicity is his fiancé rather than Anna. Other than not wanting to pay another actress I wonder why Anna wasn’t used as it would have given Ray a tangible reason to want to hold onto this fantasy. As it sits a very quick conversation is all that’s needed to convince Ray to abandon this. I’m glad that all the time was spent on Oliver and Thea with quite a bit of Sara thrown in but I would have liked a stronger Ray narrative as well. The false reality allows for basically anything to happen and the idea of a computer simulation that is plugged into the memories of the people inhabiting it gives the perfect excuse for defences to be created with a personal connection to them. Oliver fights Deathstroke, Sara takes on Damien Darhk, Thea has to deal with Malcolm Merlyn, Diggle battles Ghost –presumably Andy with his mask on- and Ray has generic masked thugs to deal with though they might represent the Mirakuru thugs that killed Anna. This group action scene is really well handled and allows each of the characters to battle a personal demon in the form of someone they have had issues with. It is a shame that Manu Bennett and Eugene Byrd didn’t return to reprise the roles of Slade Wilson and Andy but the fight itself gets the point across. Oliver has no trouble with Deathstroke showing how committed he is to reclaiming his life and Sara gets to kill Damien Darhk which gives her some kind of closure on her feud with him. She will likely never get to kill him in the real world but maybe she’ll be content with this. I also like how the Dominators’ simulation constantly tries to adapt to any attempt to counter it. 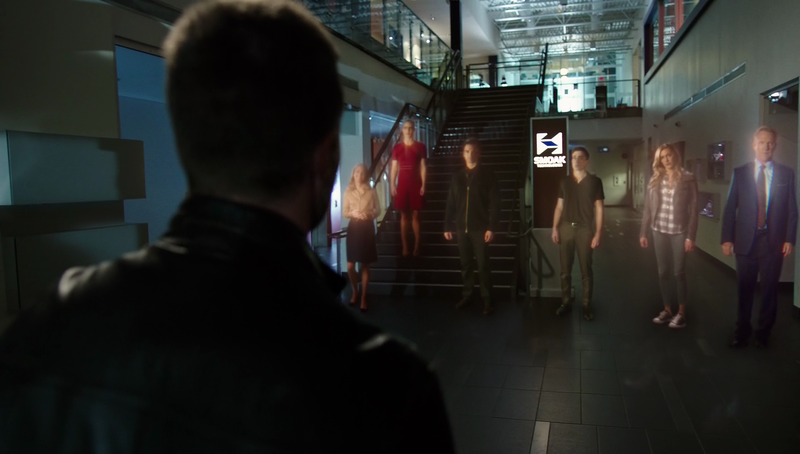 Once the defence mechanisms have been defeated Laurel appears in a final attempt to convince Oliver and Sara to stay. When a physical threat doesn’t work an emotional one is attempted. It all works from a story perspective while being very character centric and allowing the best chance to mine all emotion from any given scene. Oliver seeing those he cares about as ghostly figures just before escaping was another really powerful moment. Everyone he sees is representative of all the lives that were either forever changed or ended as a direct or indirect result of his actions. Through this he gets to see all of the choices he made and the expression on his face suggests that he can learn to live with them. 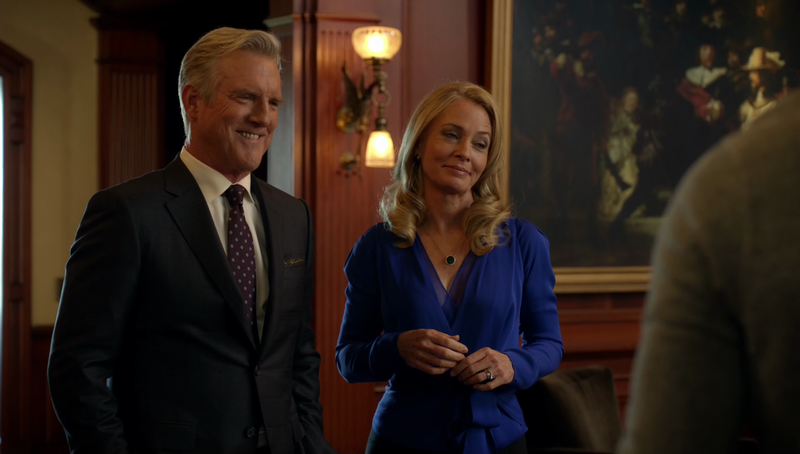 Taking a last look at Tommy, his parents as well as the versions of Felicity and Roy that no longer exist is a great moment for fans of the series and really sells Oliver rededicating himself to the fight that is about to come. The reason I stuck with Arrow through the times when the quality was reducing is for moments like this and this is one of the better ones. Since this is almost the same idea as “Flashpoint” you’d be forgiven for wondering why I didn’t like that but loved this so much. The reason for that is simple; this episode doesn’t present a world full of infinite possibilities that are left unexplored. 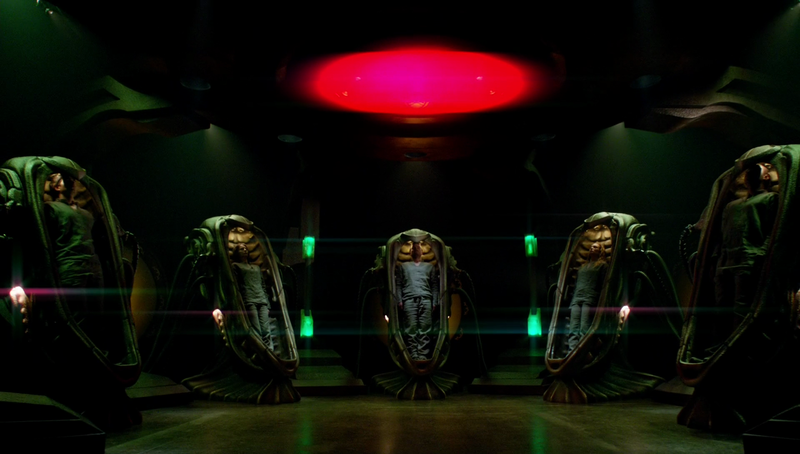 It’s a very surface level reality that Oliver and the others are left in because, as far as the Dominators are concerned, this is a means to an end to get to the next phase of their plan. As such it only has as much depth as it needs to have and the potential for interesting stories set in this world is limited. It exists to be overcome and undone while strengthening the resolve of the character so carry on the fight that they have dedicated themselves to. I liked this exploration of the “road not taken” as it isn’t designed to have consequences that fundamentally alter the show that ultimately aren’t explored. It’s designed to have very personal consequences that will change the characters in different ways and it does this very well. Outside of this, the rest of the characters are still dealing with the Dominators and looking for a way to track down those that were abducted. This B-Story was fine but not especially interesting but the biggest issue is that it wasn’t given a lot of room to breathe. This is a shame as I liked the idea of Rene being at odds with Metahumans as well as aliens. It was introduced fairly well and his standoffish nature when interacting with Barry and Kara was a nice touch. His reasons were understandable as well as he’s completely right that the arrival of the Flash coincides with the appearance of dangerous Metahumans. Similarly, as far as he knows, Kara’s arrival coincides with the appearance of the Dominators. He doesn’t know that the Dominators came first but as a normal man with no powers reacting to the world changing around him his position can completely be understood. 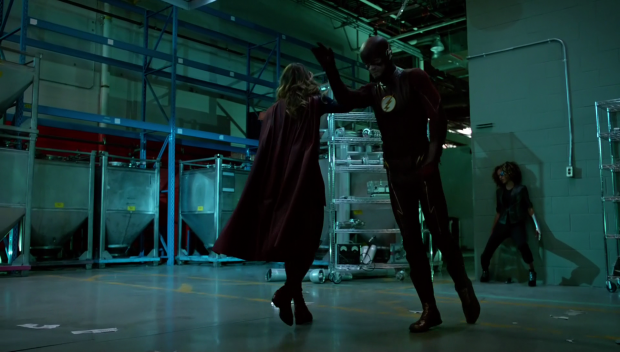 It’s disappointing that all it takes is to see Barry and Kara in action along with a last second save from Barry to change his mind. It would have been more organic for him to start to have doubts that he wouldn’t outwardly admit but complete acceptance didn’t feel right and seemed out of character for Rene as well. The rest of Team Arrow had very little to do as well which made some sense since the guest stars had to have their moment to shine. Maybe having them involved in taking down the boring tech enhanced villain would have made this a little better but the B-Story was fighting an uphill battle due to a lack of time to really become anything anyway. I liked seeing Cisco interact with the rest of Team Arrow. We already know he and Felicity are good together but his comments about Curtis being a tech guy who references movies were spot on and hilarious. It also makes sense that he would like Curtis considering how similar they can be. He didn’t have much to say to the rest of the team but having him around automatically makes things more fun. Outside of the false reality battle the episode was fairly light on action. Sara’s quick defeat of virtual Deathstroke earlier in the episode was a cool moment and the Flash/Supergirl tag team fight was pretty incredible. 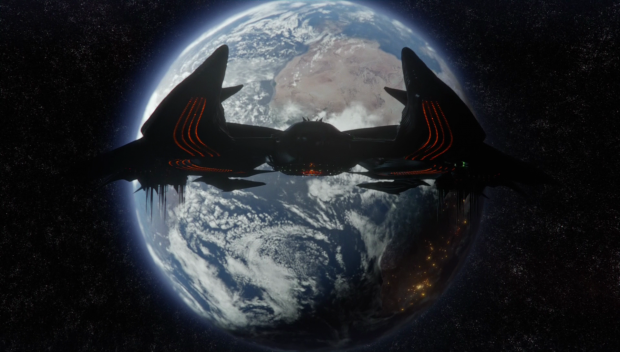 The short space battle as the abductees made their escape was fun as well even if it did end with a predictable last second rescue from the Waverider. The ending sets things up nicely for the final part of the story where the Dominators attack Earth with their weapon and everyone has to unite to stop them. It’s pretty clear at this point that the Dominators aren’t going to be well developed villains but I’m fine with that because the threat comes from what they can do rather than attempting to develop a leader of some sort. This episode sees them probing the minds of people they capture in order to configure some unknown weapon and that’s pretty sinister when I really think about it. They take steps to remove the sense of self and weaponise the results which is really devious. It does somewhat hinge on what comes next but I’m fine with it for now. An excellent episode that does right by the fans and legacy of this show. The emotional journeys that Oliver, Sara, Thea and Diggle go through in particular are really powerful and the acting is more than up to the challenge of bringing these across. Using a false reality to create several scenarios that couldn’t normally happen is a nice touch and the whole thing is fairly satisfying. The B-Story with Barry and Kara helping Team Arrow doesn’t fare quite as well but has its share of entertaining moments. It’s a shame that more wasn’t made of Rene’s hatred of aliens and metahumans as that was interesting and it might have been better had Team Arrow actually been involved. The ending sets things up nicely for the final part of the crossover and I like that the Dominators are developed through what they can do to the characters rather than characterising a leader of some sort. It remains to be seen if they can stick the landing but for now I’m onboard. It was definitely the right move to use this episode to celebrate Arrow and I was very pleased with how that was handled.